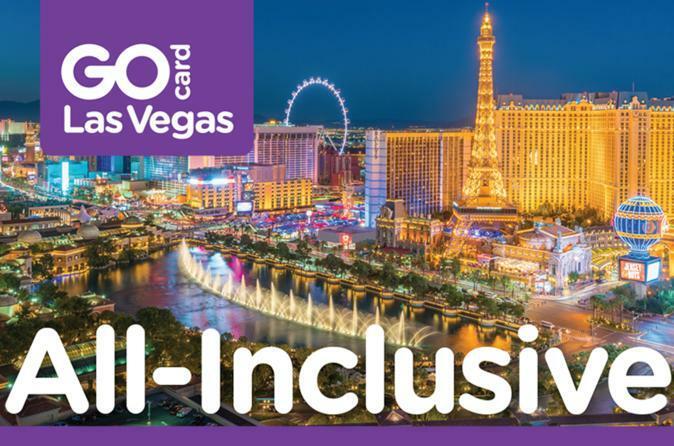 Save up to 60% on admission to over 25 top attractions and tours for one low price with a Go Las Vegas Card. All 3, 4, and 5-Day passes include a Premium Attraction choice of Grand Canyon Tour, a Blue Man Group show ticket, Las Vegas Strip Helicopter Tour, or the Richard Petty Driving Experience: Ride-Along. Enjoy the flexibility to choose attractions as you go and do as much as you want each day. Pay nothing at the gate. Save Money Save up to 60% off combined admission prices. Flexibility Create your own itinerary from over 25 popular choices. Freedom No limitations. Do as much as you want each consecutive calendar day. Insider Info Free guidebook and map. Special Offer - Save up to 4% compared to the local supplier's prices for a 3-Day, 5-Day, or 7-Day pass! - Book Now!